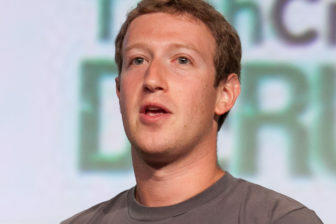 Washington – Sen. Richard Blumenthal’s office was not on the schedule as Facebook founder Mark Zuckerberg made the rounds of key lawmakers Monday, ahead of two hearings where he will be grilled on his company’s failure to protect user data. That’s probably because Blumenthal is expected to be one of the toughest questioners at Tuesday’s joint hearing by the Senate Judiciary Committee and the Committee on Commerce, Science and Transportation. Blumenthal, a member of both the Senate Judiciary Committee and the commerce panel, said this is a “moment of reckoning,” for the social media giant. He plans to press Zuckerberg to commit to broad changes to protect user privacy, including requiring users to “opt in” rather than “opt out” of tracking by data-mining companies. Blumenthal also wants Facebook users to be able to see all the information collected about them. “Facebook must inform users and seek their consent before it shares or uses their information,” Blumenthal said. Zuckerberg also will be grilled by the House Energy and Commerce Committee. “This apology tour and contrition song is no substitute for some really effective internal controls,” Blumenthal said. Facebook has been trying to get ahead of the questions lawmakers will level at it this week by implementing a number of changes. The company announced it would restrict access for third-party developers. It said it would provide more transparency about data collection and better controls to help people understand what information is being shared. Facebook also has announced more transparency around the political and issue ads that appear on its platform. Blumenthal said the steps Facebook has taken are not enough and hopes to press Zuckerberg to go further. He also said the United States should follow Europe’s lead in protecting personal information. Sen. Richard Blumenthal on the Senate floor. The European Union next month will enact a new privacy law designed to make sure users know and understand the data that companies collect about them and consent to sharing it. Individuals will have the right to access all their personal data, control access and use of it, and even have it deleted. 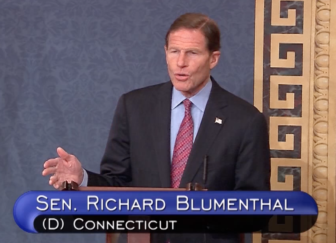 Blumenthal also said the Federal Trade Commission should be given additional powers to police social media sites. Zuckerberg will also testify about the disinformation campaign run by the Internet Research Agency, or IRA, a Russian agency that has used social media to spread deceptive information and manipulate voters in the United States, Europe and Russia. In his testimony, Zuckerberg said his company found about 470 accounts and pages linked to the IRA, which generated around 80,000 Facebook posts over about a two-year period. Zuckerberg’s high-profile testimony this week is a first for the Facebook CEO. In October, lawmakers had tried to press him and his counterparts at Google and Twitter about the ways that the Russian government spread propaganda on their platforms around the 2016 presidential election. But the top executives sent their leading lawyers to testify in their place.